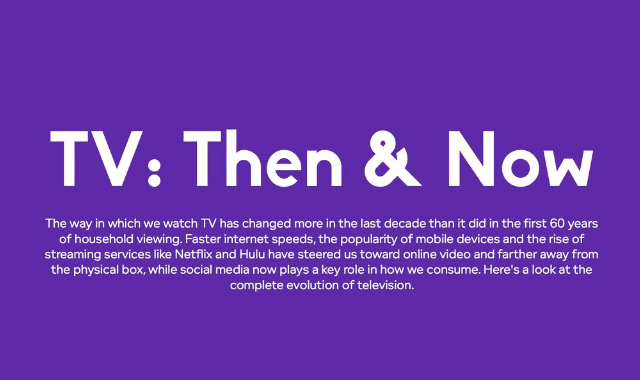 TV: Then & Now #Infographic ~ Visualistan '+g+"
The way in which we watch TV has changed more in the last decade than it did in the first 60 years of household viewing. Faster internet speeds, the popularity of mobile devices and the rise of streaming services like Netflix and Hulu have steered us toward online video and farther away from the physical box, while social media now plays a key role in how we consume. Here's a look at the complete evolution of television.